Tyler Britton serves as Assistant Professor of Trust and Wealth Management at Campbell University. Tyler graduated from Campbell University in 2011, with a Bachelor of Business Administration in Trust and Wealth Management and minor in Financial Planning. He went on to earn his Juris Doctorate from Campbell University School of Law in 2014. Tyler is a member of the North Carolina State Bar, North Carolina Bar Association, Johnston County Bar Association, and Wake County Bar Association. 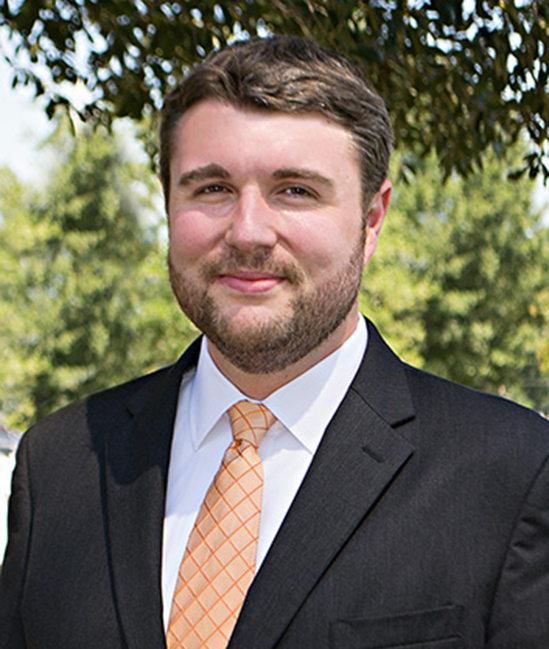 In addition to his duties at Campbell University, Tyler manages and operates his own law firm, specializing in estate planning, estate administration, and trust law, serves as general counsel for local companies and non-profits, serves on the Board of the Trust Education Foundation, Inc., and is an active member of Thanksgiving Baptist Church, Selma, North Carolina. Tyler also serves as a Guardian ad Litem Attorney Advocate and Guardian ad Litem for the 11th Judicial District of North Carolina where he represents the best interests of child clients in non-secure custody hearings, adjudicatory proceedings, dispositional proceedings, and proceedings to terminate parental rights. Before joining Campbell, Tyler worked for the U.S. Bankruptcy Court, the North Carolina Office of Executive Clemency, the North Carolina Office of the State Auditor, and a law firm specializing in real estate law.